One of the best tax deductions for a small business owner is funding a retirement plan. Beyond any tax deduction you are saving for your own retirement. As a fellow small business person, I know how hard you work. You deserve a comfortable retirement. If you don’t plan for your own retirement who will? Two popular small business retirement plans are the SEP-IRA and Solo 401(k). Who can contribute? Employer contributions only. Employer contributions and employee deferrals. Employer contribution limits The maximum for 2018 is $55,000 and increases to $56,000 for 2019. Contributions are deductible as a business expense and are not required every year. For 2018, employer plus employee combined contribution limit is a maximum of 25% of compensation up to the maximums are $55,000 and $61,000, respectively. For 2019 these limits increase to $56,000 and $62,000. Employer contributions are deductible as a business expense and are not required every year. Employee contribution limits A SEP-IRA only allows employer contributions. Employees can contribute to an IRA (Traditional, Roth, or Non-Deductible based upon their individual circumstances). $18,500 for 2018. An additional $6,000 for participants 50 and over. In no case can this exceed 100% of their compensation.The limits for 2019 increase to $19,000 and $25,000 respectively. Eligibility Typically, employees must be allowed to participate if they are over age 21, earn at least $600 annually, and have worked for the same employer in at least three of the past five years. No age or income restrictions. Business owners, partners and spouses working in the business. Common-law employees are not eligible. Note the Solo 401(k) is also referred to as an Individual 401(k). While a SEP-IRA can be used with employees in reality this can become an expensive proposition as you will need to contribute the same percentage for your employees as you defer for yourself. I generally consider this a plan for the self-employed. Both plans allow for contributions up your tax filing date, including extensions for the prior tax year. Consult with your tax professional to determine when your employee contributions must be made. The Solo 401(k) plan must be established by the end of the calendar year. The SEP-IRA contribution is calculated as a percentage of compensation. If your compensation is variable the amount that you can contribute year-to year will vary as well. Even if you have the cash to do so, your contribution will be limited by your income for a given year. By contrast you can defer the lesser of $18,500 ($24,500 if 50 or over) or 100% of your income for 2018 and $19,000/$25,000 for 2019 into a Solo 401(k) plus the profit sharing contribution. This might be the better alternative for those with plenty of cash and a variable income. Loans are possible from Solo 401(k)s, but not with SEP-IRAs. 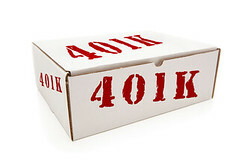 A Roth feature is available for a Solo 401(k) if allowed by your plan document. There is no Roth feature for a SEP-IRA. Both plans require minimal administrative work, though once the balance in your Solo 401(k) account tops $250,000, the level of annual government paperwork increases a bit. Both plans can be opened at custodians such as Charles Schwab, Fidelity, Vanguard, T. Rowe Price, and others. For the Solo 401(k) you will generally use a prototype plan. If you want to contribute to a Roth account, for example, ensure that this is possible through the custodian you choose. Investment options for both plans generally run the full gamut of typical investment options available at your custodian such as mutual funds, individual stocks, ETFs, bonds, closed-end funds, etc. There are some statutory restrictions so check with your custodian. Both plans can offer a great way for you to save for retirement and to realize some tax savings in the process. Whether you go this route or with some other option I urge to start saving for your retirement today. Self-employed? You need to start a retirement plan today. Today the stock market took another hit. The Dow Jones Industrial Average fell over 799 points or about 3.1%. The S&P 500 lost over 3.2%. An inverted yield curve, often a precursor to a recession, continued concerns about a trade war with China and concerns about Apple’s future outlook all fueled investor concerns. On top of this the stock market is closed tomorrow due to a national day of mourning for former President Bush, making many investors fearful of being long on stocks going into this midweek closure. What should you do now? 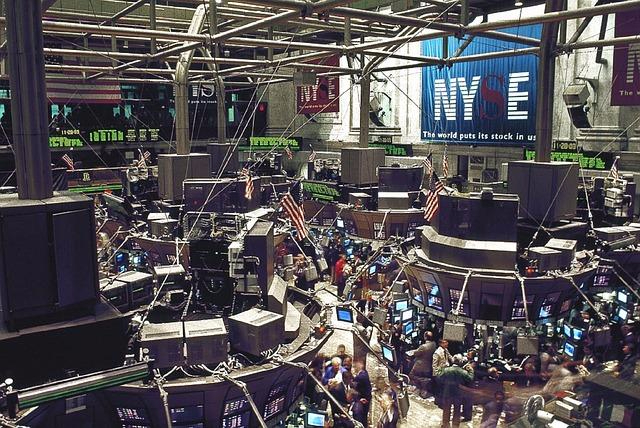 Here are 4 things to consider when the stock market drops. Cable news networks like CNBC have a field day during steep, sudden stock market corrections like we saw today. It’s easy to get caught up in all of this hype. Don’t let yourself be sucked in. Step back, take a deep breath and relax. Review your accounts and assess the extent of the damage that has been done. Depending upon how you are invested it may be minor or a bit more significant. Investors who are well-diversified have probably been hurt but not to the extent of those with a heavy allocation to equities and other volatile areas that have been hit. Has your portfolio weathered this storm and the declines we saw earlier in the year as you would have expected? If so your allocation is likely appropriate. If not, then perhaps it is time to review your asset allocation and make some adjustments. Proper diversification is great way to reduce investment risk. This is a good time to rebalance your portfolio back to your target asset allocation if needed as well. Market declines can create buying opportunities. If you have some individual stocks, ETFs or mutual funds on your “wish list” this is the time to start looking at them with an eye towards buying at some point. It is unrealistic to assume you will be able to buy at the very bottom so don’t worry about that. Before making any investment be sure that it fits your strategy and your financial plan. Also make sure the investment is still a solid long-term holding and that it is not cheap for reasons other than general market conditions. Steep and sudden stock market declines can be unnerving. Don’t panic and don’t let yourself get caught up in all of the media hype. Stick to your plan, review your holdings and make some adjustments if needed. Nobody knows where the markets are headed but those who make investment decisions driven by fear usually regret it. Those who make investing decisions driven by fear usually regret it. According to Fidelity, the average balance of 401(k) plan participants stood at $104,000 at the end of the second quarter of 2018, just shy of the all-time high level of $104,300 at the end of 2017. This data is from plans using the Fidelity platform. They indicate that about 168,000 participants had a balance of $1 million, which is about 41 percent higher than a year earlier. What is their secret? Here are 7 tips to become a 401(k) millionaire or to at least maximize the value of your 401(k) account. Investing in your 401(k) plan is more of a marathon than a sprint. Maintain and increase your salary deferrals in good markets and bad. 401(k) investing is a marathon not a sprint. In an ideal world every 401(k) investor would max out their annual salary deferrals to their plan which are currently $18,500 and $24,500 for those who are 50 or over. These amounts increase to $19,000 and $25,000 for 2019. If you are just turning 50 this year or if you are older be sure to take advantage of the $6,000 catch-up contribution that is available to you. Even if your plan limits the amount that you can contribute because of testing or other issues, this catch-up amount is not impacted. It is also not automatic so be sure to let your plan administrator know that you want to contribute at that level. According to a Fidelity study several years ago, the average contribution rate for those with a $1 million balance was 16 percent. According to their most recent data, the average contribution across all 401(k) investors they surveyed was about 8.6 percent. The 16 percent contribution rate translated to a bit over $21,000 for the millionaire group. As I’ve said in past 401(k) posts on this site, it is important to contribute as much as you can. If you can only afford to defer 3 percent this year, that’s a start. Next year try to hit 4 percent or more. As a general rule it is a good goal to contribute at least enough to earn the full match if your employer offers one. As with any sort of investment account be sure that you are investing in accordance with your financial plan, your age and your risk tolerance. I can’t tell you how many times I’ve seen lists of plan participants and see participants in their 20s with all or a large percentage of their account in the plan’s money market or stable value option. Your account can’t grow if you don’t take some risk. Target Date Funds are big business for the mutual fund companies offering them. 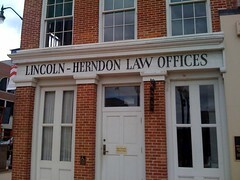 They also represent a “safe harbor” from liability for your employer. I’m not saying they are a bad option but I’m also not saying they are the best option for you. I like TDFs for younger investors say those in their 20s who may not have other investments outside of the plan. The TDF offers an instant diversified portfolio for them. Once you’ve been working for a while you should have some outside investments. By the time you are say in your 40s you should consider a more tailored portfolio that fits you overall situation. Additionally Target Date Funds all have a glide path into retirement. They are all a bit different, you need to understand if the glide path offered by the TDF family in your plan is right for you. Don’t assume that Target Date Funds are your 401(k) solution. This is a bit sarcastic but the bull market for stocks that started in March of 2009 is in part why we’ve seen a surge in 401(k) millionaires and in 401(k) balances in general. The equity allocations of 401(k) portfolios have driven the values higher. The flip side are those who swore off stocks at the depths of the 2008-2009 market downturn have missed one of the better opportunities in history to increase their 401(k) balance and their overall retirement nest egg. We’ve all seen those “hotdogs” running for a sure touchdown only to spike the ball in celebration before crossing the goal line. The 401(k) equivalent of this is to just let your account run in a bull market like this one and not rebalance it back to your target allocation. If your target is 60 percent in stocks and it’s grown to 80 percent in equities due to the run up of the past few years you might well be a 401(k) millionaire. 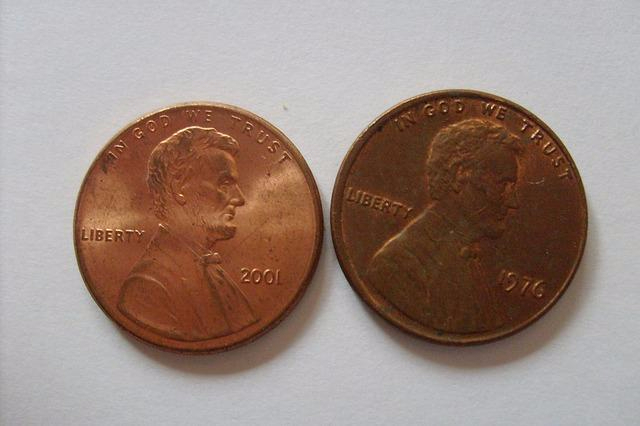 It is just as likely that you may become a former 401(k) millionaire if you don’t rebalance. The stock market has a funny way of punishing investors who are too aggressive or who don’t manage their investments. Whether becoming a 401(k) millionaire in your current 401(k) account or combined across several accounts, the points mentioned above still apply. In addition it is important to be proactive with your 401(k) account when you leave a job. Whether you roll the account over to an IRA, leave it in the old plan or roll it to a new employer’s plan if allowed do something, make a decision. Leaving an old 401(k) account unattended is wasting this money and can be a huge detriment to your retirement savings efforts. Whether you actually amass $1 million in your 401(k) or not, the goal is to maximize the amount accumulated there for retirement. The steps outlined above can help you to do this. Are you ready to start down the path of becoming a 401(k) millionaire? Saving for retirement is a major undertaking for most of us. Increasing healthcare costs and longer life expectancies make the hill a bit steeper to climb each year. Health savings accounts (HSA) provide another vehicle to save for retirement. Many of you have the option to enroll in high-deductible insurance plans that allow the use of a health savings account via your employer. An HSA can serve as an additional retirement savings vehicle on top of your IRA or 401(k) to help cover healthcare and other retirement expenses. With the annual open enrollment period commencing for many companies, this is a good time to consider a high-deductible plan with an HSA if this option is offered. According to Fidelity an average couple both aged 65 will spend on average $280,000 on medical costs in retirement. This is up from $275,000 in 2017, $260,000 in 2016, $245,000 in 2015, $220,000 in 2014 and from $190,000 from their 2005 survey. This is a significant amount even for retirees with a retirement nest egg in excess of $1 million. Health insurance plans with an annual deductible of at least $1,350 for a single person and $2,700 for a family qualify for use with HSAs in 2018, with no change in these limits for 2019. These types of plan are becoming more common with employers and are available privately as well. Premiums are generally less expensive than plans with lower deductibles. HSA accounts can only be used in conjunction with a high-deductible health insurance plan. The HSA will be a separate medical savings account into which the employee or private policy holder can contribute money during the year. The money goes into the account on a pre-tax basis much like a traditional 401(k) or IRA. Additionally, this is a great opportunity for those who earn too much to make pre-tax contributions to a traditional IRA, or who have made the maximum contributions to their 401(k) to reduce their taxable income a bit. The contribution limits for 2018 are $3,450 for individuals and $6,850 for families. Those who will be 55 or older at any point during the year are eligible to contribute an extra $1,000. For 2019, the limits increase slightly to $3,500 for individuals and $7,000 for families, with the extra $1,000 for those 55 and older still available. Some employers may also make contributions to employee’s accounts. Money can be withdrawn tax-free from the HSA account to pay for a variety of qualified medical expenses. Withdrawals used to pay for non-qualified medical costs will be included in your gross income and included in your taxable income. Withdrawals for non-qualified expenses may also be subject to a penalty. The real advantage is that money not used to cover eligible expenses can also be left in the account from year-to-year. This differs from a Flexible Spending Account (FSA) where all money must be used by the end of the year in conjunction with qualified medical expenses. Any unused dollars are lost to you. The money in the HSA is portable when you leave an employer. Many banks and investment custodians offer HSA accounts, some with investment options that are similar to an IRA account. The investments chosen should reflect your risk tolerance and time horizon for the money just like any other investment account. Just like an IRA account you should shop around for the HSA account that best meets your needs including investment options and fees. These are just some examples of the types of qualified medical and related expenses for which funds in an HSA account can be used on a tax-free basis. For those who can afford to cover some or all of their out-of-pocket medical costs from other sources while they are working, HSA contributions can serve as an excellent supplement to their other retirement savings in IRAs, 401(k)s and elsewhere. Money in the HSA can be saved until retirement to cover qualified medical costs. This can make your retirement savings go farther. Remember the money comes out tax-free for qualified medical expenses. In addition, your contributions are made on a pre-tax basis (note some plans allow for after-tax contributions as well). Beyond medical expenses, once you reach age 65 the money can withdrawn penalty-free for purposes other than paying for qualified medical expenses, though the withdrawals will be taxed at ordinary income rates like a tradition IRA account. HSAs are not subject to required minimum distributions at age 70 ½, allowing the HSA to continue to grow tax-free. If a spouse is named as the beneficiary of the account, he or she can inherit the money tax-free. Non-spousal beneficiaries will be taxed on the account’s fair market value. Your HSA can be another leg on the retirement planning stool. With the cost of healthcare in retirement continuing to increase, the health savings account is increasingly being viewed as an additional retirement account. If you have access to one, consider funding an HSA account to help supplement your other retirement savings efforts. For those of you who are self-employed it is important that you save for your own retirement. Building a business is hard work. For business owners who work solo, or who have a spouse and/or a partner in the business with them, a Solo 401(k) may be the right option. Here are five reasons to consider a Solo 401(k). For 2018 the maximum contribution limits are $55,000 and $61,000 for those who will be 50 or over in 2018. This includes the regular employee 401(k) contribution limits of $18,500 and $24,500 for those 50 and over, plus an employer-funded profit sharing component. The profit sharing portion can range up to 25% based upon the type of entity structure you have chosen for your business, sole proprietors may be limited to 20% due to the nature of the calculation. Check with your financial or tax advisor as to how much you will be able to contribute. A Solo 401(k) can be opened at many popular custodians such as Schwab, Fidelity, Vanguard, T. Rowe Price, and many others. 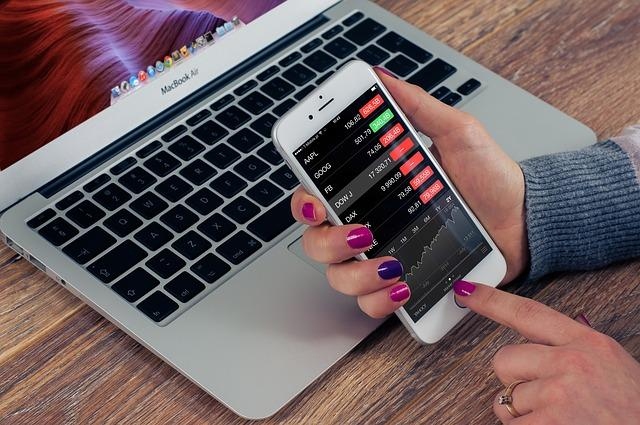 Just like an IRA or a SEP-IRA you can invest in a range of investment options such as mutual funds, ETFs, closed-end funds, individual stocks and bonds or any other investment vehicle that is offered by the custodian that isn’t prohibited by 401(k) rules. While the high maximum contributions are an advantage for those self-employed individuals with the income and cash-flow to afford them, there is no requirement for you to make any level of contribution per year. In fact, if need be you can skip a year if desired. Another form of contribution flexibility is the ability to make the employee contributions up to the maximum as long as you earn enough. Contrast this to a SEP-IRA where the contribution is a percentage of your income and your contribution amount could be much lower in years when your self-employment income is lower than normal. This means that as long as you have the cash to make the contribution, the Solo 401(k) would generally allow a larger contribution at lower levels of income than a SEP-IRA. Most major custodians and brokerage firms welcome these accounts and make the process of opening and funding your account easy. Most of these firms use a prototype plan and there are very few regulatory or administrative requirements until your account balance gets up to the $250,000 level. Depending upon the custodian you select, a Solo Roth 401(k) option might be available to you. Just like a 401(k) plan with an employer, the Solo Roth 401(k) option allows larger Roth contributions than the Roth IRA limits. Additionally, for those whose income is too high for a Roth IRA, the Roth Solo 401(k) can be a good option as there are no income limitations on Roth 401(k) contributions. In order to contribute to a Solo 401(k) for the current year the account must be opened by December 31. Employee contributions generally must be made by the end of the calendar year. Employer contributions can be made up to the filing date, including extensions, for the business. A Solo 401(k) only works for you, a partner, and/or a spouse. If you have employees this is not the vehicle for you. Check with your financial advisor or prospective custodian for more on this. If you are interested in a Roth feature and/or the ability to take loans from your account, you will want to make sure that the custodian you are considering offers these features. You will also want to inquire about any and all account fees. Note that any trading fees or mutual fund purchase charges that apply to other accounts at the custodian will generally apply here as well. The Solo 401(k) can be a great self-employed retirement plan. The main thing is if you are self-employed you need to start saving for your retirement. You work too hard to put this off any longer and if you don’t save for your own retirement nobody else will do it for you. Investment expenses reduce your investment returns. While nobody should expect investment managers, financial advisors or other service providers to offer their services for free, investors should understand all costs and fees involved and work to reduce their investment expenses to the greatest extent possible. Here are 6 investment expenses you need to understand in order to maximize your returns. All mutual fund and ETFs have expense ratios. These fees cover such things as trading costs, compensation for fund managers and support staff and the fund firm’s profit. Expense ratios matter and investors shouldn’t pay more than they need to. These numbers clearly illustrate the impact of fund fees on an investor’s returns and their ability to accumulate assets for financial goals like retirement and funding their children’s college educations. Mutual fund expense ratios are an example of where paying more doesn’t get you more. Case in point, Vanguard Value Index Adm (VVIAX) has an expense ratio of 0.05%. The Morningstar category average for the large cap value asset class is 1.03%. For the three years ending September 30, 2018 the fund ranked in the top 10% of all funds in the category; for the trailing five years it placed in the top 6% and for the trailing ten years it placed in the top 24% in terms of investment performance. Front-end sales loads are an upfront payment to a financial advisor or registered rep. Front-end sales loads reduce the amount of your initial investment that actually goes to work for you. For example, if a rep suggests investing in a mutual fund like the American Funds EuroPacific Growth A (AEPGX) for every $10,000 the investor wants to invest, $575 or 5.75% will be deducted from their initial investment balance to cover the sales load. Over time this will reduce the investor’s return versus another version of the same fund with a similar expense ratio that doesn’t charge a sales load. Some will argue that this load is a one-time payment to the advisor and their firm for their advice. This strikes me as dubious at best, but investors need to decide for themselves whether the advice received in exchange for paying a sales load warrants this drain on their initial and subsequent investments. This share class has an expense ratio of 0.82% which includes a 12b-1 fee of 0.24% (see more on 12b-1 fees below). Level loads are associated with C shares. The American Funds EuroPacific Growth C (AEPCX) fund has a level load of 1% in the form of a 12b-1 fee and an overall expense ratio of 1.60%. Brokers and registered reps love these as the level load stays in place for ten years until the funds convert to a no-load share class of the fund. There is a 1% surrender charge if the fund is redeemed within the first year of ownership. 12b-1 fees are a part of the mutual fund’s expense ratio and were originally designated to be marketing costs. They are now used as trialing compensation for financial advisors and reps who earn compensation from selling investment products. They can also be used to provide revenue-sharing in a 401(k) plan. While 12b-1 fees don’t increase expenses as they are part of the fund’s expense ratio, typically funds with a 12b-1 fee will have a higher expense ratio than those that don’t in my experience. For many of us our 401(k) plan is our primary retirement savings vehicle. Beyond the expense ratios of the mutual funds or other investments offered, there are costs for an outside investment advisor (or perhaps a registered rep or broker who sold the plan) plus recordkeeping and administration among other things. If your employer has these costs paid by the plan they are coming out of your account and reducing the return on your investment. Be sure to review the annual fee disclosures provided by your employer for your company’s plan for information on the plan’s expenses. Fees for financial advice will vary depending upon the type of financial advisor you work with. Fee-only financial advisors will charge fees for their advice only and not tied to any financial products they recommend. Fees might be charged on an hourly basis, on a project basis for a specific task like a financial plan, based on assets under management or a flat retainer fee. The latter two options would generally pertain to an ongoing relationship with the financial advisor. Fee-based or fee and commission financial advisors will typically charge a fee for and initial financial plan and then sell you financial products from which they earn some sort of commission if you choose to implement their recommendations. Another version of this model might have the advisor charging a fee for investment management services, perhaps via a brokerage wrap account, and receiving commissions for selling any insurance or annuity products. They also would likely receive any trailing 12b-1 fees from the mutual funds used in the wrap account or from the sale of loaded mutual funds. Commissions arise from the sale of financial and insurance products including mutual funds, annuities, life insurance policies and others. The financial advisor is compensated from the sale of the product and in one way or another you pay for this in the form of higher expenses and/or a lower net return on your investment. Investors need to understand these fees and what they are getting in return. In fact, a great question to ask any prospective financial advisor is to have them disclose all sources of compensation that they will receive from their relationship with you. Surrender charges are common with annuities and some mutual funds. There will be a period of time where if the investor tries to sell the contract or the fund they will be hit with a surrender charge. I’ve seen surrender periods on some annuities that range out to ten years or more. If you decide the annuity is not for you or you find a better annuity, the penalty to leave is onerous and costly. Taxes are a fact of life and come into play with your investments. Investments held in taxable accounts will be taxed as either long or short-term when capital gains are realized. You may also be subject to taxes from distributions from mutual funds and ETFs for dividends and capital gains as well. Investments held in a tax-deferred account such as a 401(k) or an IRA will not be taxed while held in the account but will be subject to taxes when distributions are taken. Tax planning to minimize the impact of taxes on your investment returns can help, but investment decisions should not be made solely for tax reasons. Fees and expenses can take a big bite out of your investment returns. Fees and expenses can take a big bite out of your investment returns and your ability to accumulate an amount sufficient to achieve your financial goals. Investors need to understand all costs and expenses associated with their investments and take steps to minimize these costs. Both the Dow Jones Industrial Average and the S&P 500 closed at record highs today. Perhaps this is due to the new tax laws passed at the end of last year. Perhaps this is a continuation of the very solid gains in the stock market that we saw in 2017. These gains are in spite of the questions and issues surrounding the Trump administration and the threat of trade wars with a number of countries. At some point we are bound to see a stock market correction of some magnitude, hopefully not on the order of the 2008-09 financial crisis. 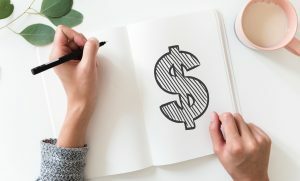 As someone saving for retirement what should you do now? During the last market decline there were many stories about how our 401(k) accounts had become “201(k)s.” The PBS Frontline special The Retirement Gamble put much of the blame on Wall Street and they are right to an extent, especially as it pertains to the overall market drop. However, some of the folks who experienced losses well in excess of the market averages were victims of their own over-allocation to stocks. This might have been their own doing or the result of poor financial advice. This is the time to review your portfolio allocation and rebalance if needed. For example your plan might call for a 60% allocation to stocks but with the gains that stocks have experienced you might now be at 70% or more. This is great as long as the market continues to rise, but you are at increased risk should the market head down. It may be time to consider paring equities back and to implement a strategy for doing this. If you don’t have a financial plan in place, or if the last one you’ve done is old and outdated, this is a great time to have one done. Do it yourself if you’re comfortable or hire a fee-only financial advisor to help you. If you have a financial plan this is an ideal time to review it and see where you are relative to your goals. Has the market rally accelerated the amount you’ve accumulated for retirement relative to where you had thought you’d be at this point? 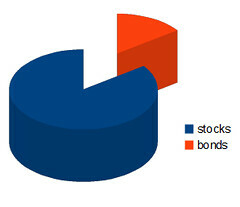 If so this is a good time to revisit your asset allocation and perhaps reduce your overall risk. It is said that fear and greed are the two main drivers of the stock market. Some of the experts on shows like CNBC seem to feel that the market still has some upside. Maybe they’re right. However don’t get carried away and let greed guide your investing decisions. Manage your portfolio with an eye towards downside risk. This doesn’t mean the markets won’t keep going up or that you should sell everything and go to cash. What it does mean is that you need to use your good common sense and keep your portfolio allocated in a fashion that is consistent with your retirement goals, your time horizon and your risk tolerance. Manage your portfolio with and eye towards downside risk. Approaching retirement and want another opinion on where you stand? Need help getting on track? Check out my Financial Review/Second Opinion for Individuals service for detailed advice about your situation. NEW SERVICE – Financial Coaching. Check out this new service to see if its right for you. Financial coaching focuses on providing education and mentoring in two areas: the financial transition to retirement and small business financial coaching. The new tax law (Tax Cuts and Jobs Act) passed in December of 2017 marks the biggest overhaul in the tax code in many years. The impact of these changes is far reaching and will impact most of us in some way. As we are now over half-way through 2018, this is a good time to look at your tax situation in light of the new tax law and make any necessary adjustments prior to year-end. Here is a look at seven ways the new tax law may impact you. For most tax payers, the new federal income tax rates will be lower. As you can see from the bracket in almost every range, the top end of the bracket is a bit higher and generally most income levels are in lower brackets. This means tax savings for most of us starting with the 2018 tax year. Suggestion – Check the level of taxes being withheld from your paycheck to ensure you don’t come up short and find yourself with a bigger tax bill than you had anticipated. Beginning in 2018, the standard deduction is drastically increased. The standard deduction increases from $6,350 to $12,000 for single filers. The standard deduction increases from $12,700 to $24,000 for those married filing jointly. This means that fewer people will be able to itemize deductions. It also means that more taxpayers at lower income levels will not owe any taxes. Partially offsetting the increased standard deduction is the repeal of the personal exemption for 2018. The 2017 amount was $4,050 per eligible dependent, including the tax payer(s). For a family of five, including three dependent children, this would amount to $20,250. The trade-off between the loss of the personal exemption and the increase standard deduction will vary with each person’s situation. Strategy idea – If the new standard deduction is likely to prevent you from itemizing, it might make sense to bunch deductible expenses into a single tax year, either by accelerating or deferring expenses. Examples of expenses to consider bunching include charitable contributions and eligible medical expenses. This might be the most controversial provision of the new tax law. SALT stands for state and local taxes. These typically include state and local income taxes as well as property taxes and state sales taxes. The big change for 2018 is that the deduction for all SALT taxes combined is limited to $10,000. With the higher level of standardized deductions, this limitation may prevent many folks who are used to itemizing deductions from doing so in 2018 and beyond. For example, if your property taxes are $12,000 annually and your state income tax liability is $8,000, your total deduction for these items will be limited to $10,000. Combined with the higher standard deduction levels you may find yourself unable to itemize deductions going forward. Caps on SALT deductions will impact the ability of many to itemize deductions. This provision will likely have the greatest impact in high cost states like California, New York, Illinois, Minnesota and much of the Northeastern part of the country. As many of these are “blue states,” some have speculated that this provision of the new tax law was politically motivated. Regardless of the motivation, this change is functionally a drop in after-tax income for those impacted. This may be partially offset by the reduced tax brackets and the increase in the standard deduction, but you would be wise to look at your situation as soon as possible to get a true picture of the impact on you. For families with children, the Child Tax Credit has doubled from $1,000 to $2,000 per child for 2018. Additionally, up to $1,400 of the credit can be refundable if the credit results in a tax refund for you. The income level at which the credit begins to phase-out has been increased to $400,000 for married couples in 2018, increasing the number of families that will be able to take advantage of this credit. Remember, a tax credit directly reduces the amount of taxes paid and is therefore more valuable than a tax deduction. The new law also added a $500 credit for other dependent family members, including dependent parents. As a practical matter, the loss of the personal exemption may offset a portion of the benefit of these increases. There are rules regarding earned income limits and the definition of an eligible child so be sure to understand all the rules and how they might apply to your situation. Contrary to some earlier versions of the tax bill, the 2018 contribution rates for 401(k) plans, IRAs and other tax-deferred retirement plans was left unchanged. Contributing to a retirement plan provides a tax-break for many and is a great way to save for retirement while your money grows tax-deferred (or tax-free in the case of a Roth account). Be sure to contribute as much as you can for 2018. The new tax law limits the amount of mortgage debt against which an interest deduction can be taken. For 2018 and beyond, the ability to deduct mortgage interest is limited to the first $750,000 of mortgage debt. This limit does not apply to mortgages in place prior to 2018. The ability to deduct interest on home equity lines of credit is now gone as of 2018, unlike with mortgages existing home equity lines were not grandfathered. The exception to this is for home equity debt that is specifically used for home improvement purposes. For those couples contemplating divorce, the new tax law brings a huge change. For divorces finalized after 2018, the alimony payments will no longer receive a tax deduction for those making the payments. This will potentially make alimony payments more expensive for the paying spouse and could result in lower alimony payments for the spouse receiving them. The implications are potentially huge for the spouse receiving the payments and could place many of them in an adverse financial situation going forward. For couples thinking about a divorce, they should consider finalizing the process in 2018 if possible. These are just some of the changes contained in the new tax law. There are provisions impacting businesses large and small, as well as a number of other provisions impacting individuals in various situations. This is a good time to sit down with your tax or financial professional to see what impact the new rules will have on your taxes and your financial planning. One thing to keep in mind. Most of the changes enacted by these new rules are set to expire after 2025, they aren’t permanent. Not sure how the new tax rules will impact your financial planning? Approaching retirement and want another opinion on where you stand? Need help getting on track? Check out my Financial Review/Second Opinion for Individuals service for detailed advice about your situation. Last year was a strong year for the markets, with the S&P 500 Index up almost 22% in 2017. The new year has started out a bit differently, though with the S&P 500 recording a gain of only 2.59% though the first half of 2018. It’s been a bumpy ride at times, with the markets experiencing some wild swings at times this year after peaking in late January. The Russell 2000 index which tracks small cap stocks has hit new highs recently and many big tech stocks have done well so far in 2018. The uneven performance of the markets may have caused your portfolio to have strayed from its target asset allocation. You may be taking on more or less risk than is appropriate for your situation. If you haven’t done so, this is a good time to consider rebalancing your investments. Here are four benefits of portfolio rebalancing. Asset allocation is about balancing risk and reward. Invariably some asset classes will perform better than others. This can cause your portfolio to be skewed towards an allocation that takes too much risk or too little risk based on your financial objectives. During robust periods in the stock market equities will outperform asset classes such as fixed income. Perhaps your target allocation was 65% stocks and 35% bonds and cash. A stock market rally might leave your portfolio at 75% stocks and 25% fixed income and cash. This is great if the market continues to rise but you would likely see a more pronounced decline in your portfolio should the market experience a sharp correction. Rebalancing imposes a level of discipline in terms of selling a portion of your winners and putting that money back into asset classes that have underperformed. This may seem counter intuitive but market leadership rotates over time. During the first decade of this century emerging markets equities were often among the top performing asset classes. Fast forward to today and they coming off of several years of losses. Rebalancing can help save investors from their own worst instincts. It is often tempting to let top performing holdings and asset classes run when the markets seem to keep going up. Investors heavy in large caps, especially those with heavy tech holdings, found out the risk of this approach when the Dot Com bubble burst in early 2000. Ideally investors should have a written investment policy that outlines their target asset allocation with upper and lower percentage ranges. Violating these ranges should trigger a review for potential portfolio rebalancing. Have individual stock holdings hit my growth target for that stock? How do my mutual funds and ETFs stack up compared to their peers? Have my mutual funds or ETFs experienced significant inflows or outflows of dollars? Have there been any recent changes in the key personnel managing the fund? These are some of the factors that financial advisors (hopefully) consider as they review client portfolios. This type of review should be done at least annually and I generally suggest that investors review their allocation no more often than quarterly. Investing success is not a goal unto itself but rather a tool to help ensure that you meet your financial goals and objectives. Regular readers of The Chicago Financial Planner know that I am a big proponent of having a financial plan in place. A properly constructed financial plan will contain a target asset allocation and an investment strategy tied to your goals, your timeframe for the money and your risk tolerance. Periodic portfolio rebalancing is vital to maintaining an appropriate asset allocation that is in line with your financial plan. Regular portfolio rebalancing helps reduce downside investment risk and ensures that your investments are allocated in line with your financial plan. It also can help investors impose an important level of discipline on themselves. Only 32% of retirees surveyed felt confident that they will be able to live comfortably throughout their retirement. Retiree confidence in their ability to over basic expenses and medical expenses in retirement dropped from 2017 levels. Less than one-half of the retirees surveyed felt confident that Medicare and Social Security would be able to maintain benefits at current levels. It is essential that Baby Boomers and others approaching retirement take a hard look at their retirement readiness to determine any gaps between the financial resources available to them and their desired lifestyle in retirement. Ask yourself a few questions to determine if you can retire. What kind of lifestyle do you want in retirement? You’ll find general rules of thumb indicating you need anywhere from 70% to more than 100% of your pre-retirement income during retirement. Look at your individual circumstances and what you plan to do in retirement. Will you live in an area with a relatively high or low cost of living? What’s your plan to cover the cost of healthcare in retirement? Remember spending during retirement is not uniform. You will likely be more active earlier in your retirement. Though you may spend less on activities as you age, it is likely that your medical costs will increase as you age. How much can you expect from Social Security? Social Security benefits were never designed to be the sole source of retirement income, but they are still a valuable source of retirement income. Those with lower incomes will find that Social Security replaces a higher percentage of their pre-retirement income than those with higher incomes. Recent news stories indicating that the Social Security trust fund is in trouble is not welcome news for those nearing retirement or for current retirees. What other sources of retirement income will you have? Other potential sources of retirement income might include a defined-benefit pension plan; individual retirement accounts (IRAs); your 401(k) plan, and your spouse’s employer-sponsored retirement plans. If you have other investments, it is important to have a strategy that maximizes these assets for your retirement. If you are fortunate enough to be covered by a workplace pension, be sure to understand how much you will receive at various ages. Look at your options in terms of survivor benefits should you predecease your spouse. If you have the option to take a lump-sum distribution it might make sense to roll this over to an IRA. Also determine if your employer offers any sort of insurance coverage for retirees. Where will this $50,000 come from? The most likely source is your retirement savings. This might include 401(k)s, IRAs, taxable accounts, self-employment retirement accounts, the sale of a business, and inheritance, earnings during retirement, or other sources. To generate $50,000 per year you would likely need a lump sum in the range of $1.25 – $1.67 million at retirement. Everybody’s circumstances are different. Many retirees do not have a pension plan available to them, some don’t have a 401(k) either. Providing for a comfortable retirement takes planning. Don’t be lulled into thinking your 401(k) plan alone will be enough. If you haven’t put together a financial plan, don’t be afraid to enlist the aid of a professional if you need help.